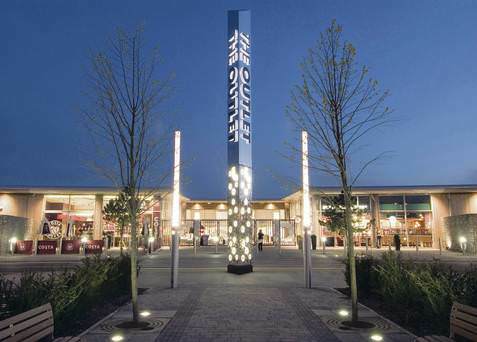 Located in Northern Ireland, The OUTLET is the area’s newest designer outlet shopping centre. The Honeywell security system installed enables us to monitor all public areas of the shopping centre effectively. It is very easy to use and contributes enormously to offering our customers a safe and enjoyable shopping experience. With over 60 shops including numerous designer fashion brands and national retailers as well as a wide range of restaurants and cafes, it attracts shoppers from all over Ireland. For this leading European outlet destination containing big-brand retailers with high value merchandise on sale, the management company required a comprehensive CCTV management solution that would protect its visitors, premises and ultimately help to reduce shrinkage from the retail units. 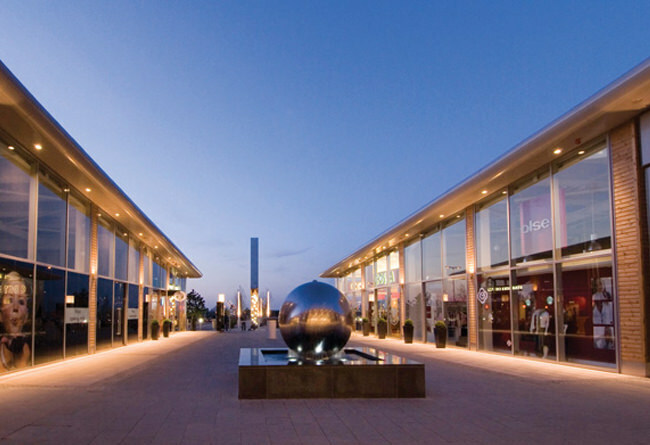 Whilst each retailer has its own security system and staff, The OUTLET required its own security team to work in partnership with the retailers to offer a comprehensive security solution for the entire centre. This would help to detect and deter incidents on site and ultimately contribute to reducing shrinkage for each retailer. The system specification included innovative products with industry-leading features and demanded the highest quality. It was imperative that CCTV images of evidential quality could be captured and recorded to ensure a high conviction rate when needed. The recording solution needed to be easy to use with real-time recording so that an immediate response to any incidents could be implemented. Finally, it was important that the design of the CCTV domes complemented the shopping centre’s contemporary design providing effective and aesthetic monitoring. To find the security solution that would suit its needs, The OUTLET undertook a tender process to select a preferred supplier. The OUTLET chose the Fire & Security integrator Building Protection Systems Northern Ireland Ltd. (BPS) to carry out the project. 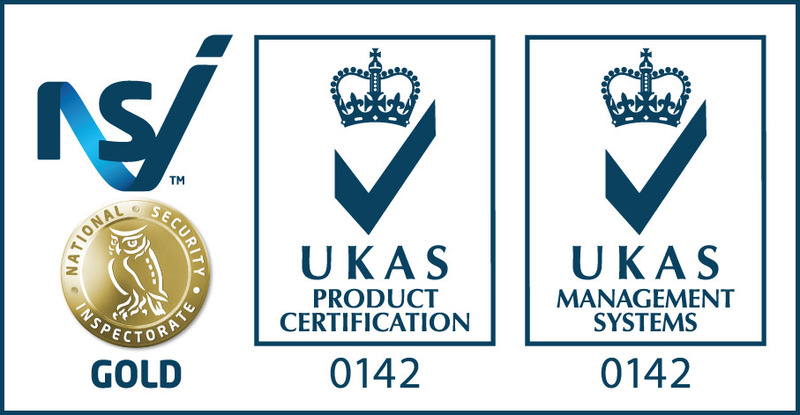 BPS proposed the installation of a system from Honeywell Security, offering premier quality surveillance using leading technologies from a single source. Full colour CCTV surveillance is provided during the day, with an automatic changeover to mono at night when light levels are lower ensuring that the quality of the image is maintained. To achieve this a system of 34 high-powered cameras covering the walkways, car park and service yard areas was installed using wall- and pole-mount microspheres from the Honeywell Orbiter range. The easy to set-up presets assist in the establishment of a number of programmable camera ‘tours’ encompassing pan, tilt and zoom sweeps of key areas of the shopping centre. Perfect picture quality is achieved by advanced auto focus control to ensure that, no matter what the zoom position the picture is in the sharpest-possible focus. Covering service vehicle delivery areas and the car park, Orbiter microspheres have been deployed to maintain a watchful eye in these areas too. The high power zoom capability of the domes positioned on poles ensure that the vicinity around the centre can also be seen clearly to help prevent security breaches from occurring before any suspected criminals reach the shops. If there is an incident, the images can be checked within seconds to get information and evidence to pass on to the police. These microspheres are connected via a Videoblox 64/8 matrix with images recorded and stored on four HRHD 320GB Digital Video Recorders (DVR). The DVR has a built in multiplexer that can record up to 16 cameras at the same time. The HRHD DVR is easy to operate and offers real-time recording. This Honeywell DVR was recommended because of its high quality performance, multi functionality and because it makes it easy to retrieve CCTV images via the in-built CD writer. Additionally, a new, sophisticated security control room operating 24/7 was established. Here all the captured images are recorded and viewed live via five 19 inch Honeywell TFT colour LCD monitors. Cameras and scenes are easily controlled by the ergonomic Videoblox programmable keyboard controller. This control room also houses the site’s dedicated security team. Thanks to the high power zoom on the cameras that provides crystal-clear detail, the security team can easily communicate with security personnel located outside of the control room to alert them to react to and prevent security breaches. The ongoing relationship between BPS and Honeywell means that The OUTLET is able to benefit from the Honeywell ‘Advance Replacement’ programme, ensuring that the system is always fully operational. Using a solution from Honeywell, The OUTLET now has a state-of-the-art security system helping to deter theft and to protect its customers, premises and car park. The security system installed not only acts as a deterrent but, when needed to supply evidence in order to catch shoplifters, it can provide high quality images with minimum delay. The Honeywell HRHD 16 DVRs installed ensure that all recorded content can be retrieved easily and events searched speedily. The CCTV images can quickly and easily be transferred on to a CD and provided to the police in relation to a specific incident time and date. The result is that security breaches are deterred and the in-store security teams are confident that any criminal activity can continue to be recorded outside of their store; resulting in reduced crime and a safer shopping experience for customers.